My job as a cardiologist is to help make a diagnosis when symptoms arise. Once a diagnosis is made, patients can be offered therapy to help with symptoms. Patients experiencing any cardiac symptoms should consult a physician. One of the most common symptoms patients complain of is palpitations. Palpitations are any symptoms of extra hard beats, skipped beats, or heart fluttering. 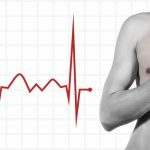 Most palpitations are not serious, and more of a nuisance. Occasionally palpitations can be associated with serious underlying heart conditions. It is very important to have a diagnosis to delineate the more serious forms of palpitations from the more benign variety. Patients presenting with dizzy symptoms often need cardiac evaluation, to determine if low heart rates or high heart rates are responsible for their symptoms. Heart monitors are vital in making a diagnosis. First patients are screened with an ECG (electrocardiogram). An ECG has 12 electrodes attached to the skin that transmit electrical signals from the heart for 10 seconds. Often, 10 seconds isn’t enough time to make a diagnosis, so an ambulatory heart monitor is ordered. 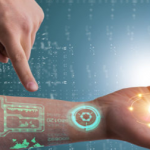 An ambulatory heart monitor typically has 3-6 electrodes attached to the skin, that provides information to a storage device or cloud that can be more sensitive in making a diagnosis. The most important decisions a doctor can make are predicated on having an accurate diagnosis. Palpitations and Dizziness are NOT medical diagnoses. Examples of medical diagnoses are atrial fibrillation, premature ventricular contractions, and premature atrial contractions. Heart monitors are extremely useful tools that doctors use to accurately make a diagnosis. My doctor prescribed a heart monitor, what does this mean? Primary care providers and Cardiologists (heart specialists) use heart monitors as diagnostic tools. The heart’s electrical activity can often provide clues into patient’s symptoms, such as palpitations or feeling dizzy. If there are extra beats or slow heart rates this can help make a diagnosis and provide clues into specific therapies such as needing a pacemaker or anti-arrhythmic medication. What are the different types of heart monitors? The two basic types of monitors are holter monitors and event monitors. Holter monitors can be worn for 24-48 hours, or even extended periods of time. They provide continuous monitoring of a persons electrical heart activity (ECG). Event monitors only record activity when triggered by the patient when symptoms occur. Electrodes are placed on the skin, and transmit ECG information to a storage device. Wires typically transmit this, however newer monitors can now work via wireless technology. The information is either stored directly onto a hard drive, and downloaded in the doctor’s office for interpretation, or transmitted wirelessly to a cloud. The advantage of wireless cloud based technology, is patients can be alerted in real time of any dangerous rhythm abnormalities. What if I am wearing my monitor and I don’t have any symptoms? Detecting an arrhythmia is much like fishing. The longer you have your “line” in the water, the better chance you have in catching a fish, or in this cases an irregular heartbeat. 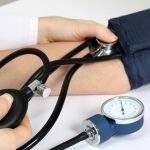 While 24-48 hours may be sufficient for some, for others it may not be enough time to gather information in patients with intermittent heart rhythm disturbances. For some concerning symptoms, your doctor may order an “event monitor” or “extended holter” for up to 7 or 14 days. For very infrequent, but serious problems like passing out, injectable loop records can be placed under the skin, and gather information for up to 3 years. Why did my doctor order a heart monitor after my loved one had a stroke? There are certain rhythm disorders like atrial fibrillation, which can predispose your family member or loved one to having strokes. The treatment of this underlying condition is very important in preventing future strokes. Sometimes atrial fibrillation comes and goes, without symptoms. Holter monitors, not event monitors should be used to detect this rhythm disturbance. Atrial fibrillation can be seen in association with many cardiac conditions including congestive heart failure, coronary artery disease, and hypertension. Does my fitness tracker provide the same information as a heart monitor? Most conventional fitness trackers are only heart rate monitors. They do not provide specific heart rhythm or ECG information. There are a couple of newer companies that offer wireless wearable electrodes that can provide both heart rate monitoring and ECG monitoring using advanced computer based algorithms. My heart monitor showed PVCs and PACs should I be concerned? Typically infrequent PVCs (premature ventricular contractions) and PACs (premature atrial contractions) are not dangerous. Patients that have numerous PVCs (>15,000 in 24 period) may be at risk for potentially serious heart conditions. These patients may require more work up from a cardiologist. PACs are common and typically not dangerous. Frequent PACs may be a clue that the patient is at risk for developing atrial fibrillation. Will my health insurance cover my heart monitor? Most heart monitors are covered by insurance, if ordered by a physician. Some of the extended holters and injectable loop recorders will require insurance prior authorization. It is recommended that you first visit your general practitioner and describe your symptoms. If he or she believes you should be prescribed an ECG, they will refer you to the appropriate specialist. What are the advantages or disadvantages to the different types of heart rate monitors? Some monitors are meant to provide continuous monitoring. Continuous heart monitors are more sensitive in detecting rhythm problems even when patients aren’t experiencing symptoms. Event monitors are helpful in determining whether symptoms are related to a cardiac disturbance. If a patient triggers their monitor and describes heart fluttering, and the underlying rhythm is normal, the physician can then pursue an alternative non-cardiac diagnosis. These monitors are helpful if patients suffer from panic disorders and severe anxiety. 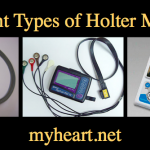 Some holter monitors are wireless, offering a much more convenient experience to the patient, but often times they only offer a single channel of ECG (i.e. 1 view of the heart). Newer technology is currently being evaluated by the FDA and may offer cardiologists a solution that is wireless as well as 3 channels of ECG (i.e. 3 views of the heart). Having more “views”, or angles at which to view a patient’s heart allows a trained physician better data that helps triangulate where PVC’s are originating, if/when found. 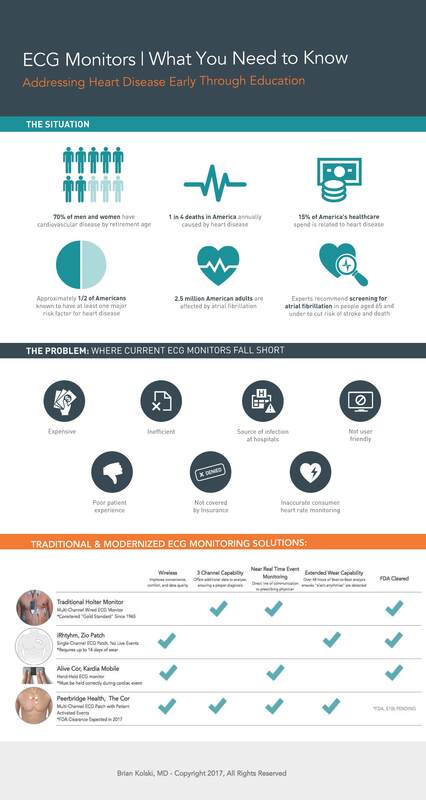 Heart monitors that are connected to a cloud based service, offer the advantage of real time diagnostics that can alert their providers to dangerous conditions immediately. Only injectable loop recorders provide continuous monitoring for months to years. This is helpful when symptoms are very infrequent. I am struggling with these two approaches: Can you please help elaborate and try to answer the three questions below? 1. What is the gold standard for both questions? 2. Is it novel enough? 3. Do implantable ICD’s increase in the prevalence of cardiac diseases/arrhythmia ’s? What is the purpose of the questions, i.e level of detail required?